Dimensions: 8.5 x 7.5 x 1.1 in (210 x 190 x 28 mm). Soft cover / 504 pages / Black & White. Supports PBASIC 1.0, 2.0, 2.5. Describes the BASIC Stamp Editor for Windows. 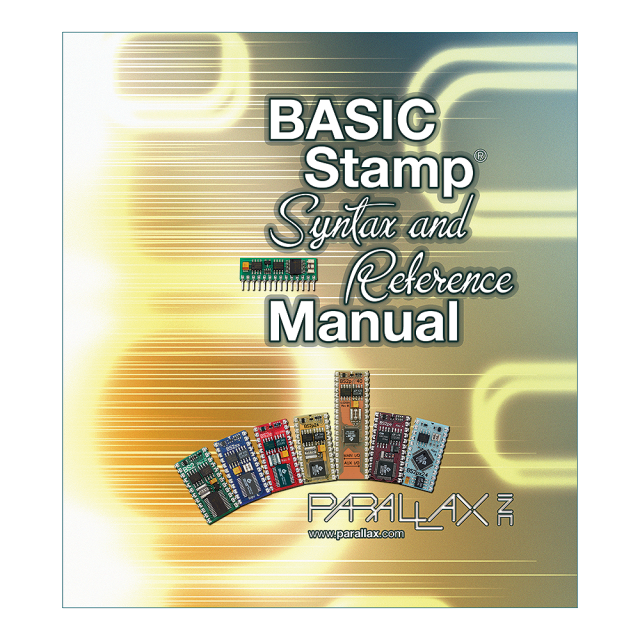 Covers BASIC Stamp models BS1, BS2, BS2e, BS2sx, BS2p, BS2pe, and BS2px.